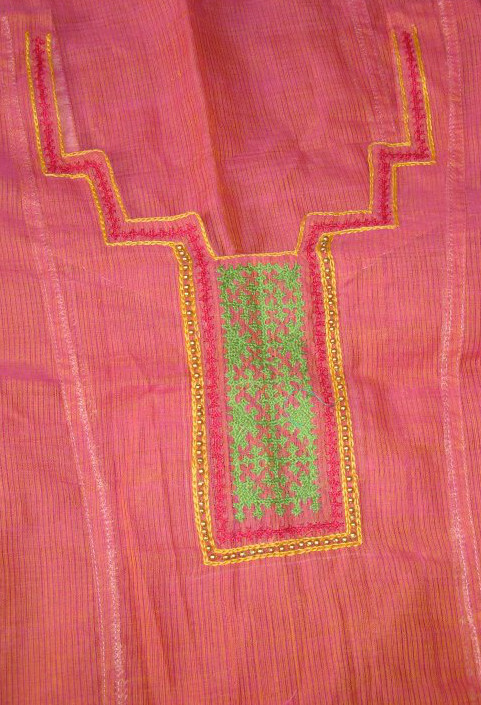 And block printed and pin tuck fabric for the sleeves. 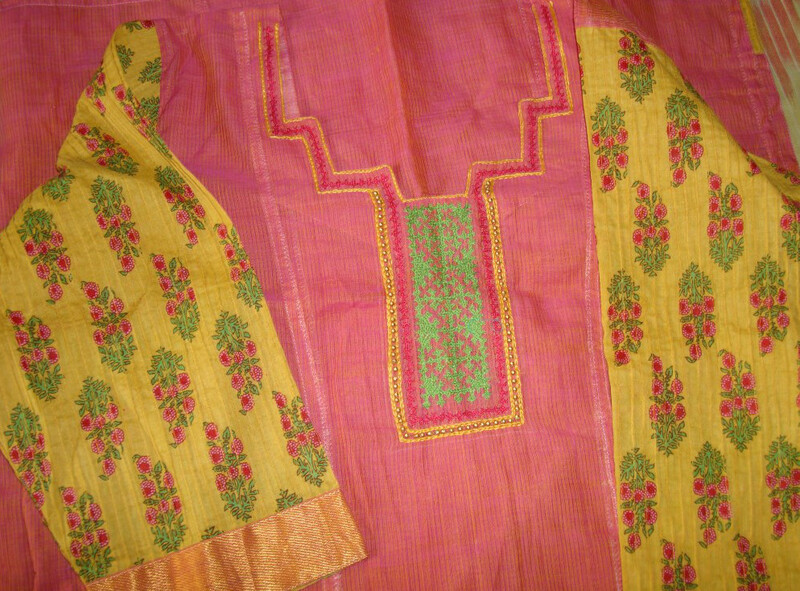 I have seen sewn tunics made of two or more fabrics, embellished with printed or embroidered borders. 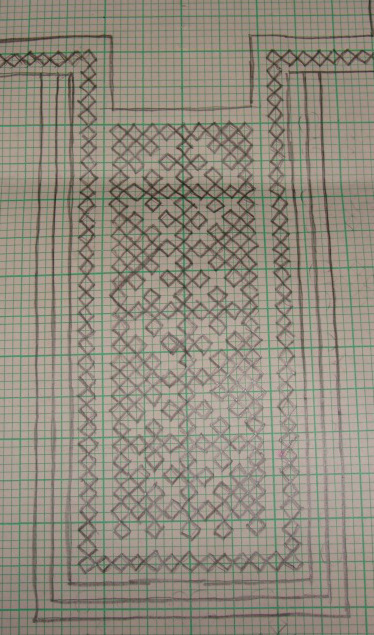 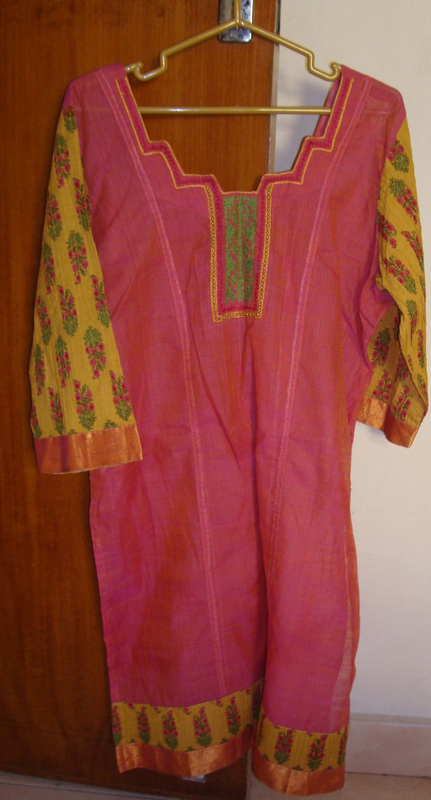 A kutch pattern made of small and broad borders was drawn on graph paper for this tunic. 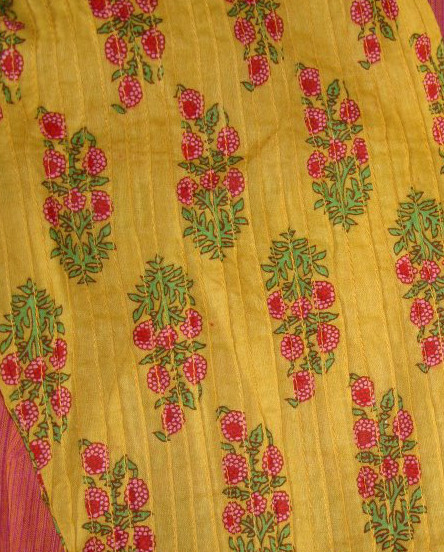 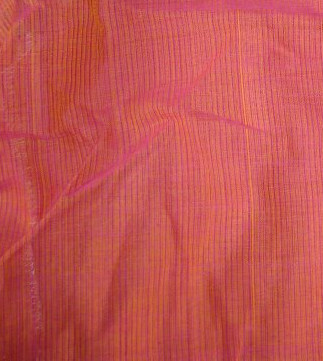 Salwar in the same yellow shade is worn with this tunic.